HOW TO STOP BLOWING GOOGLE ADWORDS BUDGET RIGHT NOW! 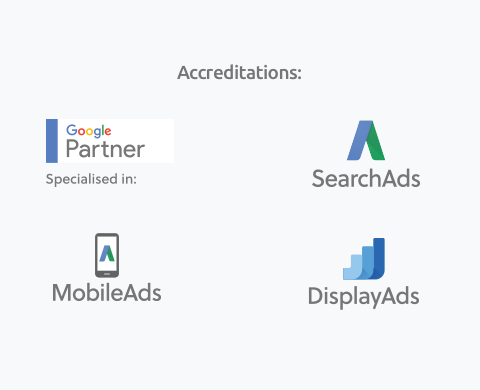 Most businesses waste thousands of dollars every single month on Google AdWords without even realising it. Why so much $$$ is being wasted. The simple changes that fix it. How to stop blowing budget and start getting more leads than ever before. WARNING, only people serious about growing their business can download this report. Either way, the result is paying far too much for far too little. But it doesn’t have to be that way. By downloading this report you will learn: the secret tricks that Adwords experts use to decrease your cost-per-click and exponentially increase your lead volumes without any additional spend. In this example, this business was paying $38 per lead and using the strategies outlined in the report we were able to drop it to $8 per lead meaning they can get 5X the leads from the same budget. This company was getting 669 leads per month in January and now they generate %84 more leads with exactly the same budget. They say: ‘you get what you focus on’, and we focus on this 100%. It won’t be long before the secret gets out. Grab your copy of the report today and start leveraging these strategies before your competitors do. Download your copy of the free report today while you still can.